Last weekend visited Franklin Park Conservatory & Botanical Gardens in Columbus, Ohio. This site is a beautiful testament to the Progressive Era's emphasis on conservation of the natural environment.The location itself makes you feel relaxed, as you are surrounded by natural beauty and impressive architecture. You can bring yourself to visit this location just to appreciate the architecture alone. The original building consists of the Palm House and Davis Showhouse. The Palm house features palm species from around the world. 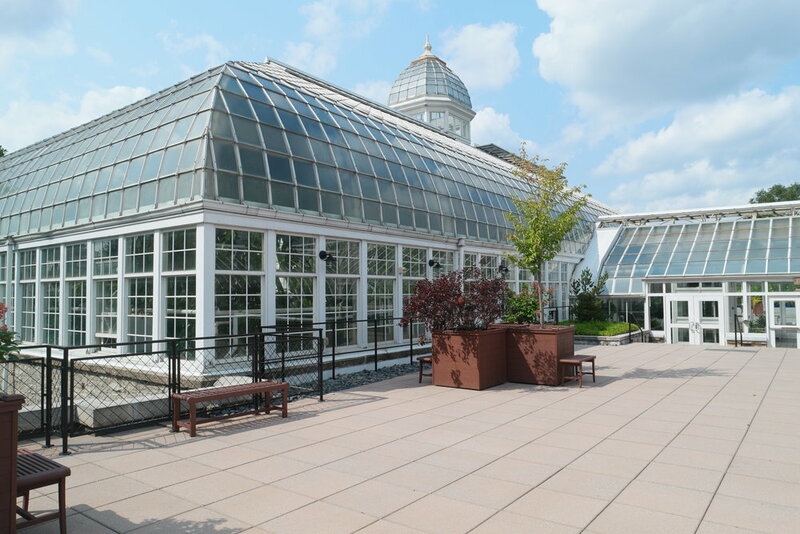 According to the conservatory's website, "the design of this grand Victorian-style glass greenhouse, built in 1895, was influenced by the success of Chicago’s World Fair and Columbian Exposition in 1893 and inspired by the City Beautiful movement." Later additions were matched to resemble the older style. 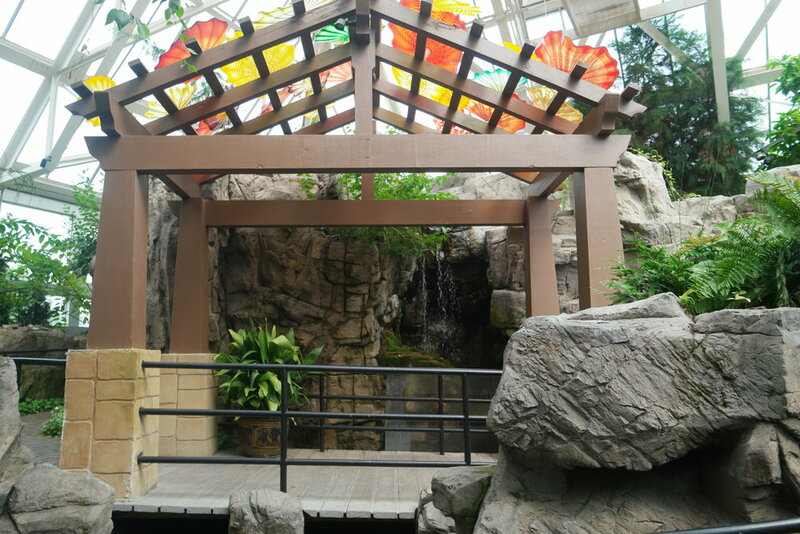 The conservatory is divided into sections based on geography and environment. During our visit in September, a special exhibit, "Topiaries at the Conservatory: Wild Wonders" featured plant sculptures of elephants and giraffes. 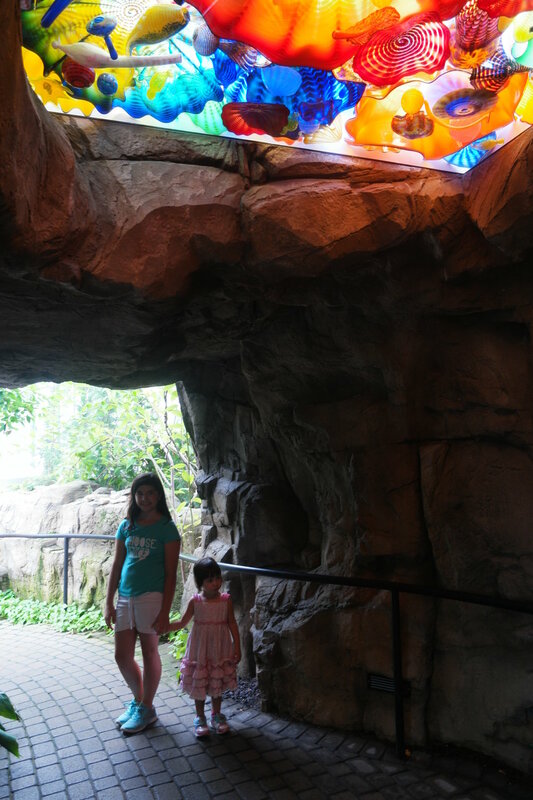 My kids really appreciated the whimsical nature of the animals; it was reminiscent of the sculptures at Epcot during the garden show. From there, we found a kids play area in the middle with kids' farmer's market stand. Our little one really enjoyed playing store with her sister. One unique feature is that the conservatory exhibits renowned glass artwork by Dale Chihuly. 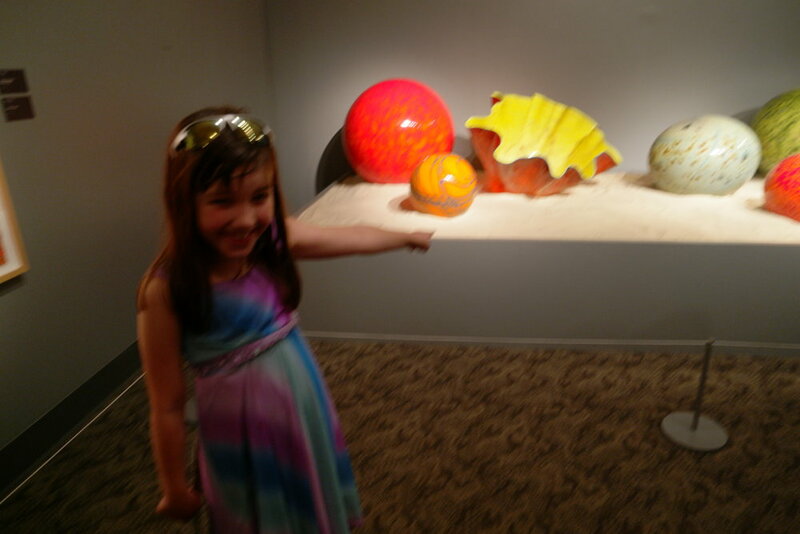 This glasswork is probably one of the most beautiful glass displays I have seen, comparable to those in Venice, Italy. The glass is incorporated into the actual walkways of the botanical gardens, adding a beautiful contrast to the natural displays. The vibrant colors and beautiful shapes of the colorful glassworks seem to add the feel of moving water to the gardens as you walk through. According to his website, Chihuly's art focuses on the avant garde use of glass, which adds a new dimension to this medium. The conservatory features a glass blowing studio and here you can observe a demonstration of glass making at various times during the day. After appreciating the glass, we ventured on to the butterfly conservatory. 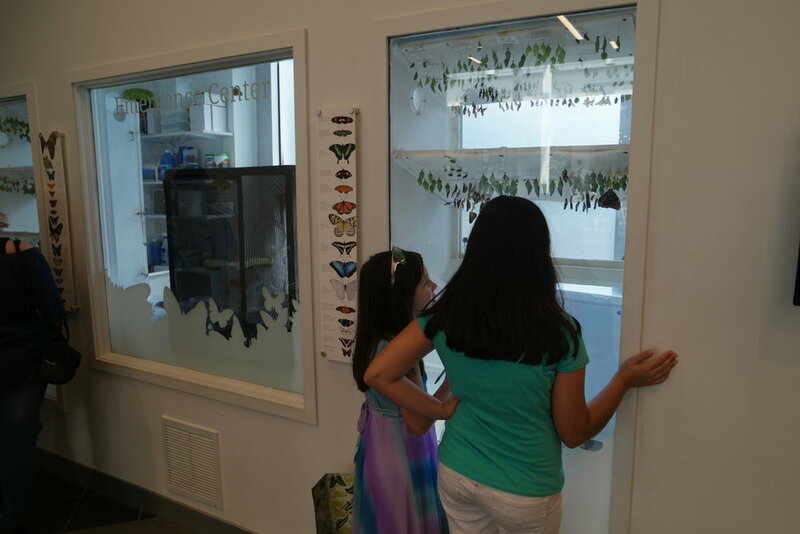 The tour begins with a view of the butterfly larvae at various stages of development. The girls stopped to view the cocoons before entering the butterfly conservatory. Inside we found a beautiful pathway of plants and were at liberty to explore and observe the various species. New butterflies are released at certain times in the day, and during this time we were lucky to see a great deal of butterflies flying around. The butterfly expert explained the various species in depth, as she released them. The girls really enjoyed being able to delicately hold some of the butterflies as they flew on their hands. One of the most impressive parts of this site, are the outdoor gardens surrounding the property. The gardens provide a perfect spot to walk around with our family on a Sunday afternoon. 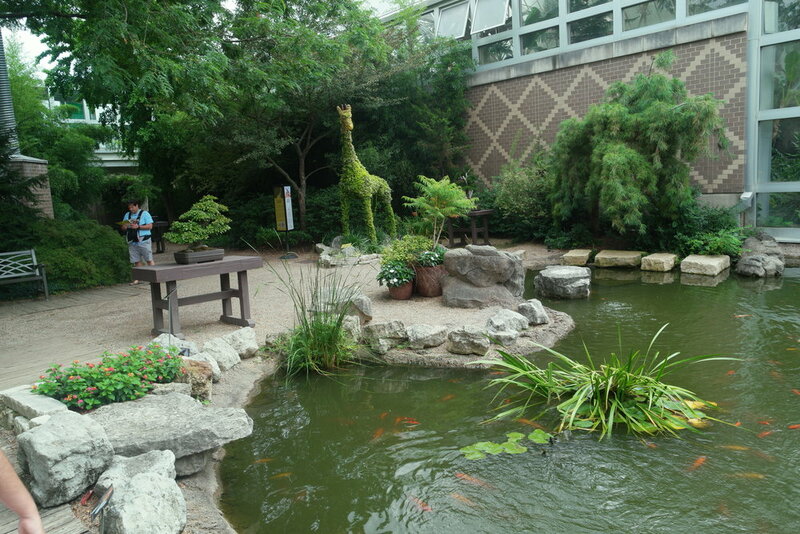 I would recommend going on a breezy day, as the heat prevented us from enjoying the gardens more fully. 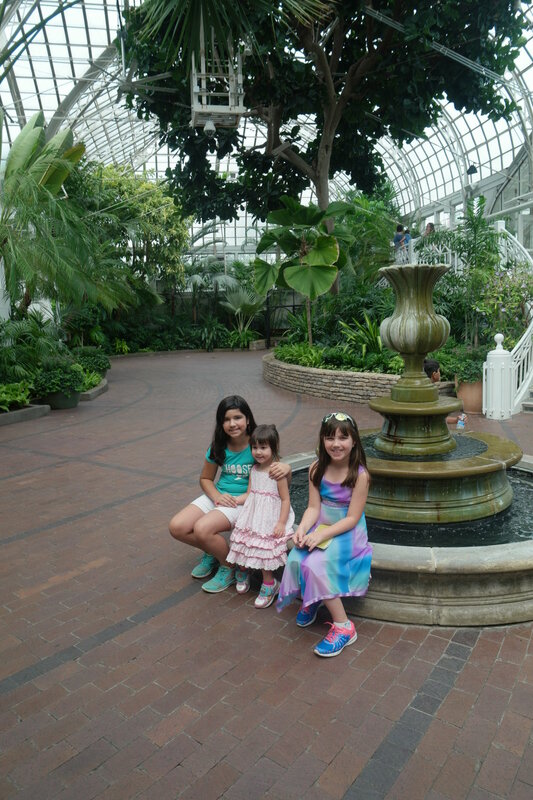 Overall, our trip to the conservatory was a great way to explore history, art and nature with our kids.